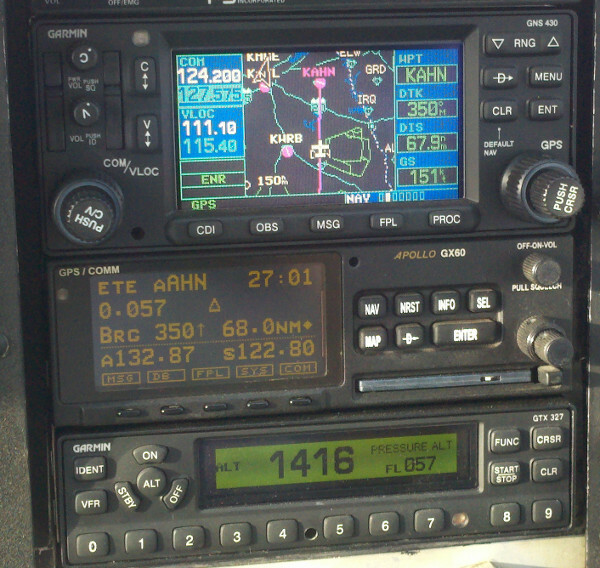 Here are a few photos while I was flying the airplane home. Not great photos; we were losing our light, but here's a couple of photos of me with the airplane after the first cross-country flight. I stopped on January 9th to avoid yucky weather in northern Georgia and Tennessee. The general region I stopped in was dictated by the weather and how far I could get and still be in daylight. However, the fact that the international airport code of Athens, Georgia ("KAHN") might have played a very small part in my picking it as my overnight spot. 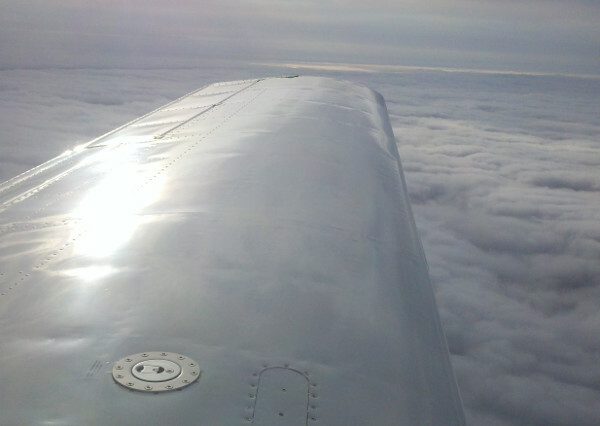 It was a very pretty day flying between the cloud layers. 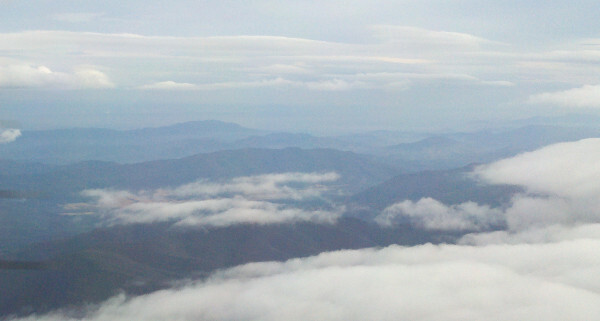 This is Wednesday the 10th, looking east over the Great Smoky Mountains. "Far over the Mistly Mountains cold, to dungeons deep and caverns old..."
One last pic; engine gauges in cruise.